We regret that we are unable to accept new patients. Our paediatrics and gynaecology services are currently reduced. By car: There is parking available from the Waitrose car park, free of charge for shoppers. 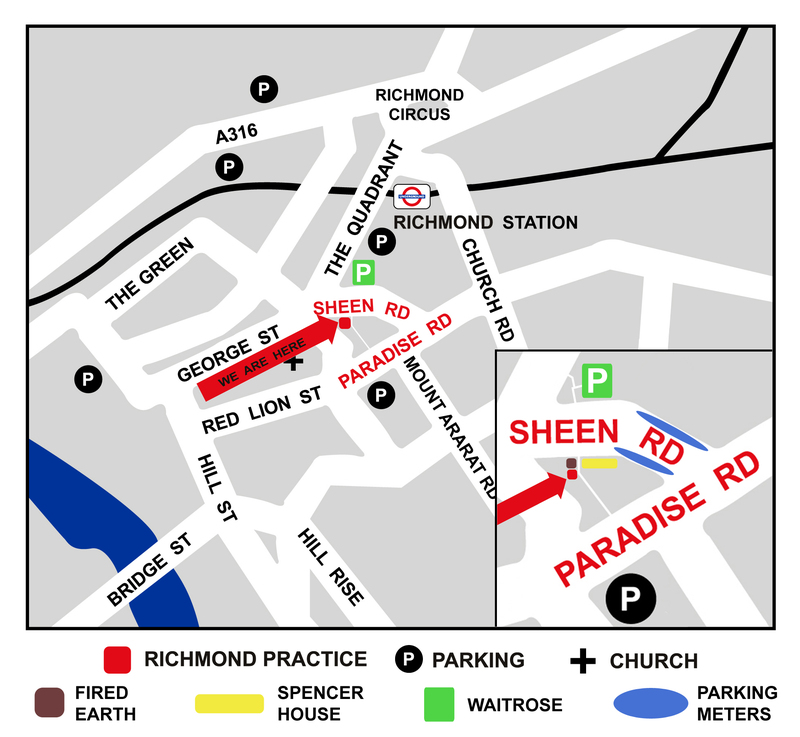 Metered parking is available on Sheen Road, including a disabled parking bay. Alternatively, the Richmond Station car park or Paradise Road car park are in close proximity. Metered parking: You can pay for your parking ticket with cash or alternatively you can cal 0203 046 0010, quote your number plate and area code 5431. You will be asked for your credit or debit card number. Waitrose car park: Mon-Sat 8am to 8.30pm. Waitrose customers get first 90 minutes free (a minimum of £10 purchase required), then usual rates apply (£1.20/1 Hour). Paradise Road car park additional information: 2 hours free parking at the Paradise Car Park when you purchase over £25 in Whole Foods Market. 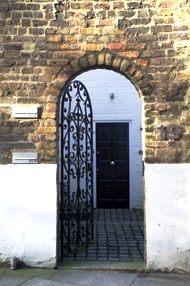 By Public Transport: Richmond Practice is within walking distance of Richmond mainline and underground station. We are also served by bus routes 33, 65, 190, 337, 371, 391, 419, 490, 493, H22, H37, R68, R69 and R70. Disabled access: Please advise the Practice in advance of your apointment if you are disabled.